My initial problem with the whole prog genre was trying to find albums with just the right amounts of rock and prog in them. Balance is the key. And while that problem is long gone by now, had I stumbled upon Ghosts back then, it would have been an instant five stars. 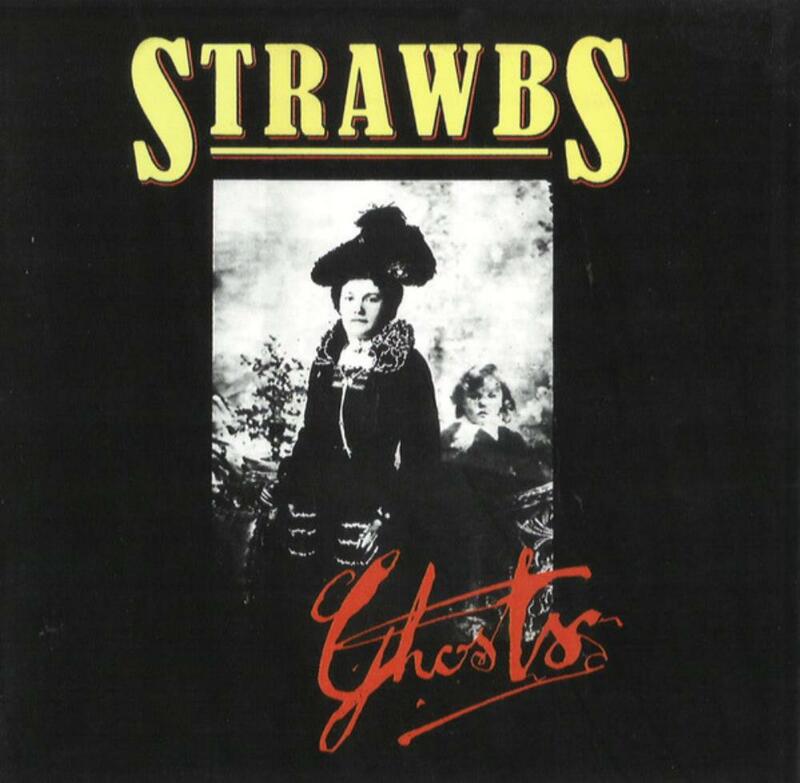 At the time of it's release, in the distant past of 1975, Strawbs were heavily marketing and introducing themselves in the States. That speaks for itself in the music. Call it an 'introduction to Strawbs'. Grand symphonic parts right next to joyful, jumpy songs, stunning mellow beauty and hard rocking electric guitar work. All that with quite a few dollops of folk sprinkled over for good measure. Instantly catchy, with many great sing-along refrains and riffs that sets your foot tapping along with the music, it is in many ways a streamlined '70s prog/rock album. Not in the hard 'n' heavy way of Purple and Heep, and much less drenched in rumbling, raw Hammond than those bands are. Instead we get a lighter, more delicate mix. Acoustic guitars often take a leading role or form textures behind the overlaying electric counterpart, adding depth and crispness to the music. The keys are full of enchanting Mellotron waves when at their best, filled with a jumpy boogie-piano feel when at their worst. Still fun, though. I much prefer the way they add that defining elegance (warm and peacefully noodling along in the background) to most of the tracks here. And just because Remembering is fifty-four seconds long doesn't mean it isn't enjoyable: a gentle, slightly sad introduction to You And I (in which the theme continues), which showcases John Hawken's ability to add emotion and richness with his playing. For me there's no doubt whatsoever that the stand-out tracks found on Ghost are the the mini-epics, namely the title song and The Life Auction. The first develops from a positive acoustic/keys/folkish-theme, gradually adding foreboding twists and turns until the song kicks off for real. Unleash the organ and e-guitar, and with a solid drum fill and bass you're in for a real treat for the remaining five minutes of the song. Probably the most emotional singing I've heard from Dave Cousins so far. Rich, mostly due to the heavy key-laid atmosphere, is once again the word. The Life Auction starts off in a most foreboding way, with deep, echoing guitar and narration like that found on Rush's The Necromancer. Another soaring, emotional effort with Dave Cousins in his prime with a great recurring theme with interplay from all instruments. Menacing. But even if my heart says otherwise, my brain tells me that these two songs are most likely the only true reasons for buying the album. Nothing else is really up to par with them, that's for certain. I love the album for a casual listen, and repeatedly play the stand-outs. 3 stars? (really 3,5 for all that's worth...) Yup, that's it. Good, but non-essential.